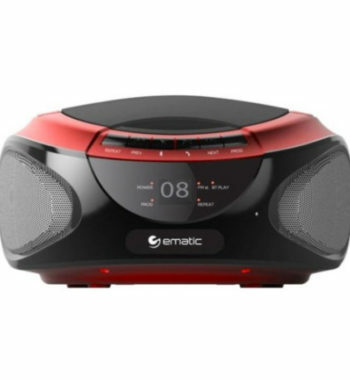 The Ematic EBB9224 CD Boombox with Bluetooth Audio and Speakerphone lets you enjoy great sound from CDs, your smartphone or the radio on the go. The built-in microphone lets you take calls from throughout a room. 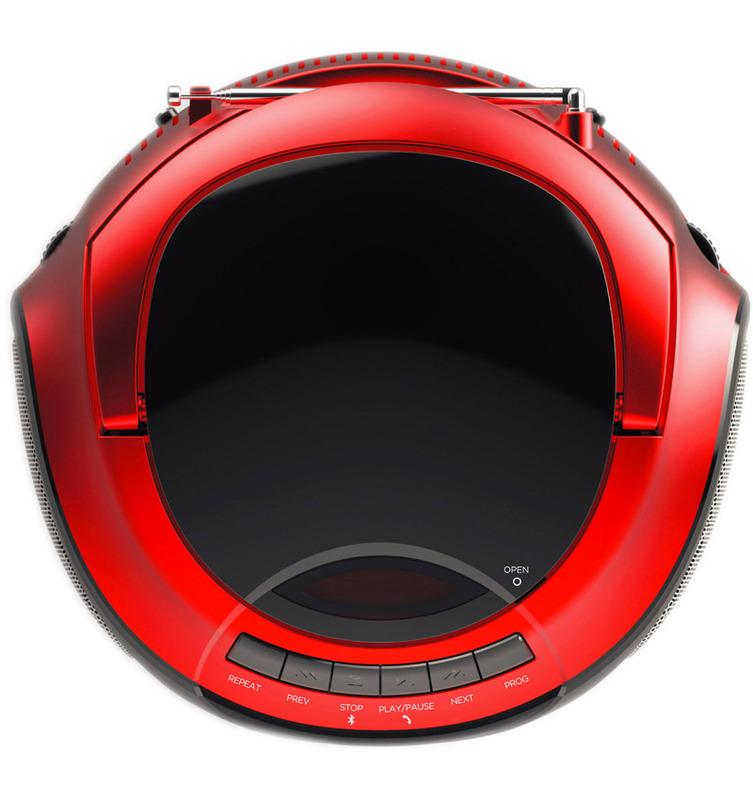 It functions as a speakerphone. 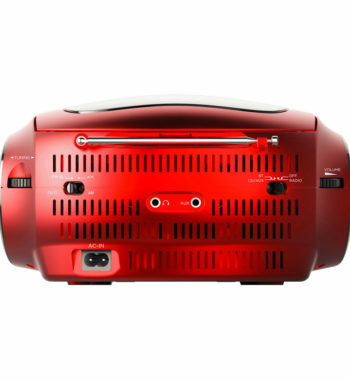 Connect your phone, computer or other Bluetooth-enabled devices to stream music from your portable boombox. You will enjoy a 30′ plus range depending on your environment. The line-in function lets you enjoy full quality sound even on your devices without Bluetooth. 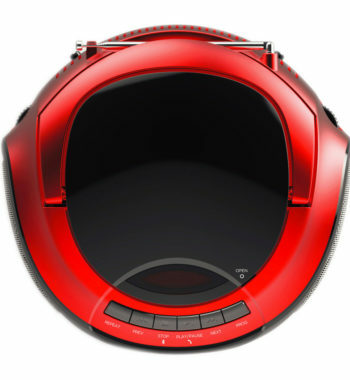 You can hear movies and games from your laptop, tablet or smartphone loud and clear. 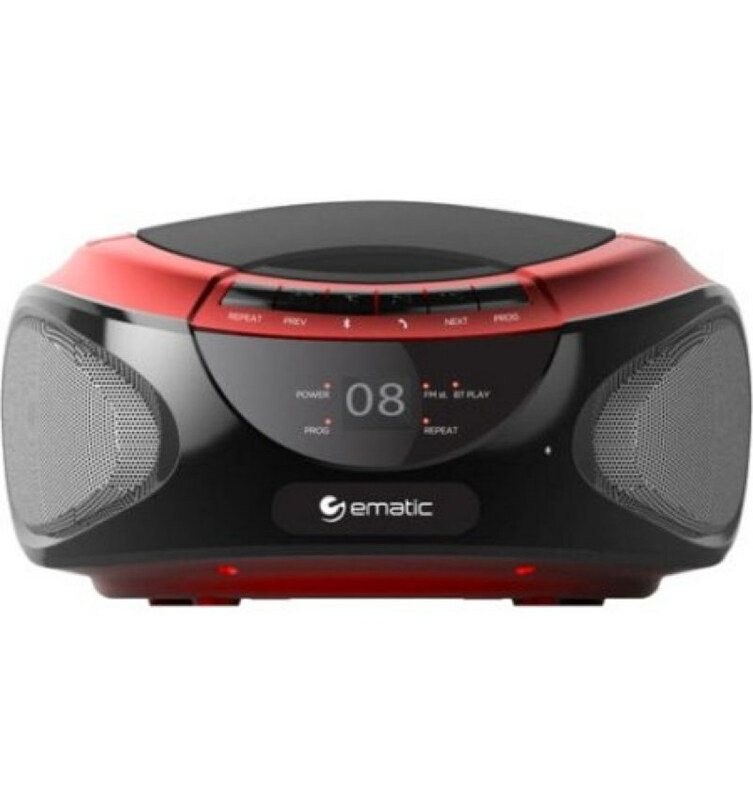 You have a choice between two Ematic Boombox colors to match your style. Keep your music playing with the included power cord or with six C batteries (not included). Connect your Bluetooth device to enjoy high-quality audio whenever and wherever. With a powerful built-in microphone, you can take hands-free conference calls in your office, car, or at home. 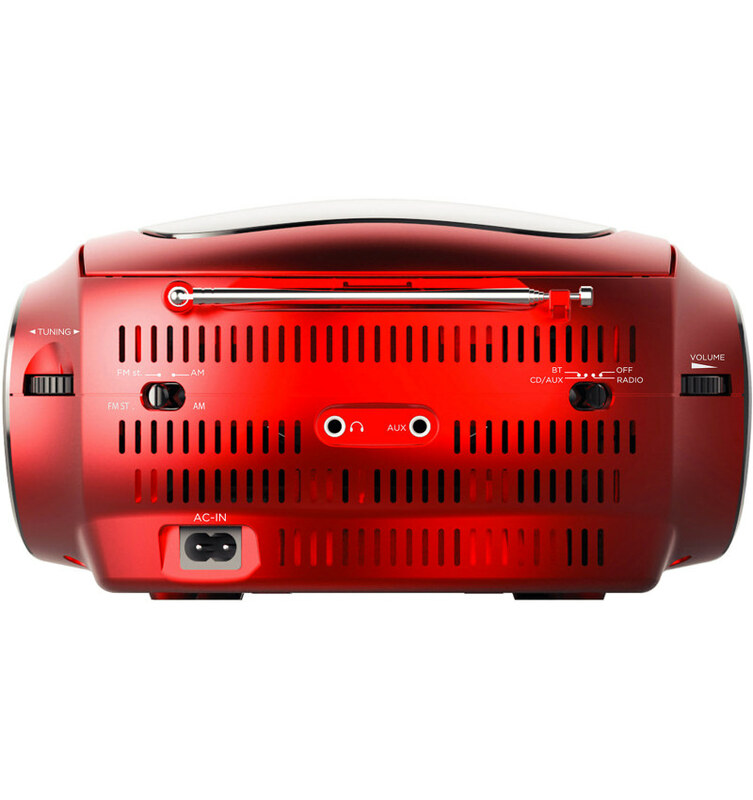 Enjoy movies and games from your laptop, tablet, or smartphone loud and clear. Use a 3.5mm audio cable to connect devices without Bluetooth. Listen to your favorite radio stations to enjoy the latest music and news. 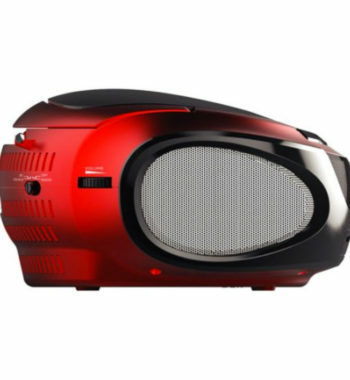 Enjoy great sound from your CDs with the Boombox CD Player.